HARK! 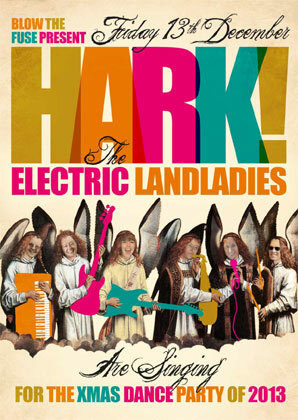 Electric Landladies are coming. This year our only Christmas party is at wonderful old Chats Palace, celebrating its 100th birthday this year..
Classic dance hits from the past 50 years. From Aretha and Amy to Blondie and Bowie with a host of golden disco,rock and Motown favourites. don’t leave it til there no room at the Inn – WE SOLD OUT last year!